Southeast focused bridge lender, BridgeInvest, recently closed a first-priority construction loan secured by a 2.8-acre parcel adjacent to the Miami International Mall in Doral, FL. 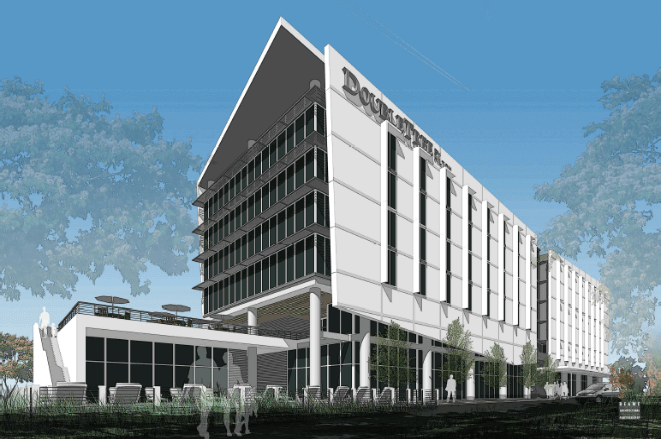 The borrower has begun construction on a 100,000 SF, 150-room DoubleTree hotel with an expected completion by mid-2018. In addition to the senior loan, the project funding includes subordinate financing sponsored through the EB-5 Immigrant Investor Program. The project is owned by Hospitality Doral, LLC which is controlled by the principals of American Opportunity Regional Center, an approved USCIS regional center. The borrower has hired an affiliate of Driftwood Hospitality Management to manage the development and construction of the project. The borrower required an expedited closing under a tight timetable due to a rapidly approaching construction commencement deadline, which BridgeInvest was able to meet. The loan facility allowed the borrower to draw funds commensurate with the construction schedule without incurring additional costs on undrawn capital. BridgeInvest was able to structure the loan with a fully subordinated loan from an EB-5 lender through a mutually agreed upon intercreditor.